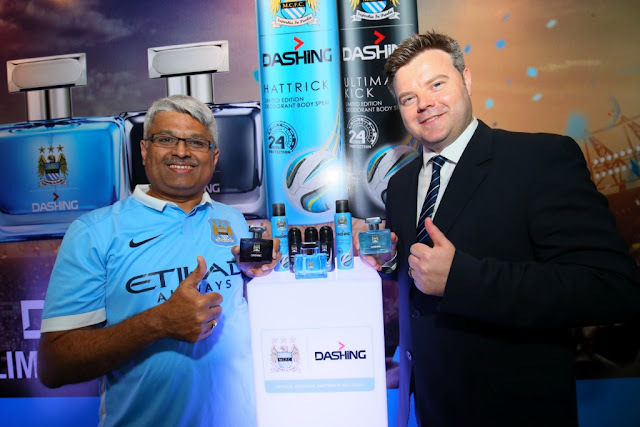 Dashing & Manchester City Football Club have been partners for almost a year and after creating some exciting footballing experiences last season are proud to launch a new collection of EDTs, Deodorants and Rolls Ons to provide truly world class fragrance experience to every Malaysian sports fan. 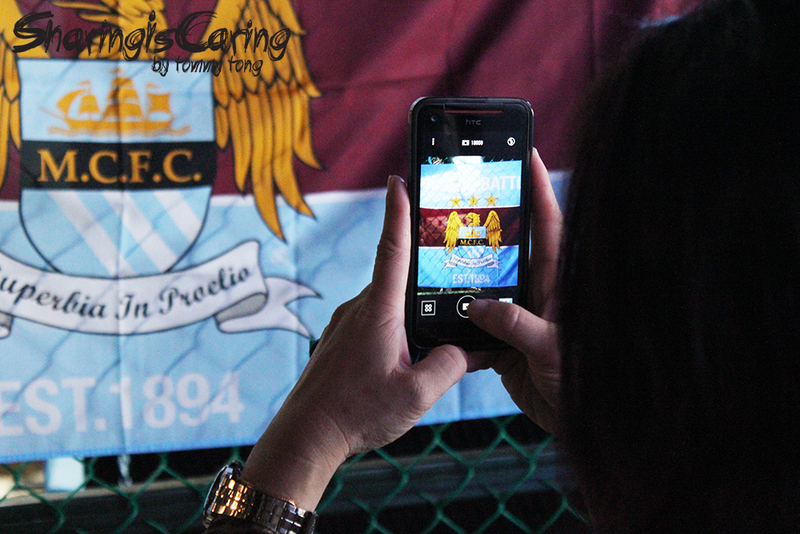 At the launch held in The Score, Bandar Utama Dashing reveled the Limited edition range is truly inspired by MCFC. Packaging is premium and colors reflect home and away kits. Fragrances are specially formulated to last longer and provide freshness throughout the day even to a very active man. There are 2 variants named “Ultimate Kick” and “Hattrick” respectively. A scent made for champions, bringing out the suave side in every facade of a modern man’s daily life. The Ultimate Kick features a summer-like active fragrance featuring a concoction of lemon, enhanced with the freshness of cardamom, supported by vanilla and a musky base. A winning strike for every Dashing man. Hattrick’s enigmatic fragrance ignites one’s drive to win. Hattrick exudes the unique combination with the freshness of apple citrusy infused with a combination of floral notes and a hint of amber. Men’s need to stay fresh and focused in their daily activities escially after sport. New Dashing-MCFC Deo Spray & Roll-On not only does it provide a long lasting fragrance, it also kills the toughest body odour & prevents staining on clothes. With its quick-drying formula, it also helps to prevent bacterial growth and brings unparalleled freshness throughout the day. 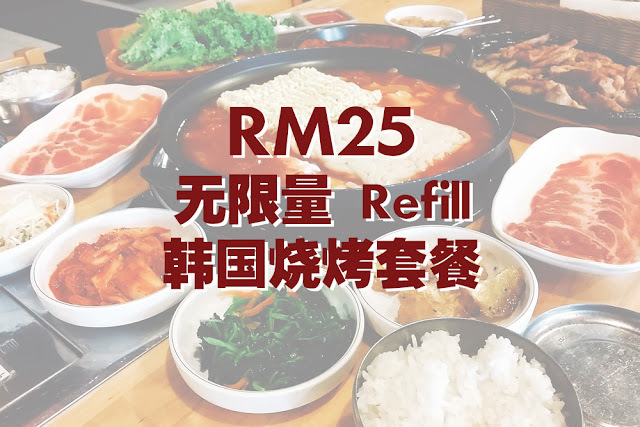 Dashing is also running a National contest and will be giving opportunity to 11 lucky winners to go on a 6 day 5 nights fully paid trip to Manchester, UK. It’s a simple SMS based contest and all one needs to do is to buy any Dashing or Elite products and send a simple SMS to enter the contest which ends on 31st December 2015. The Dashing-MCFC Limited Edition range is available in two explosive variants of Ultimate Kick and Hattrick. 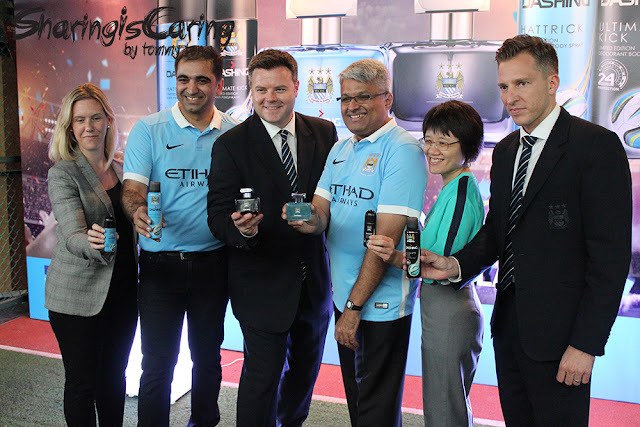 The Dashing MCFC EDT 50ml retails at RM20.90, Deodorant Spray at RM11.45 and Roll-On Deodorant at RM5.90.